I am covered in soot, its in my hair, down the back of my t shirt and I keep spitting it out of my mouth. I’m also freezing cold. So much so that I’ve had to spend 25 rupees on a hat. But I’m grinning madly. 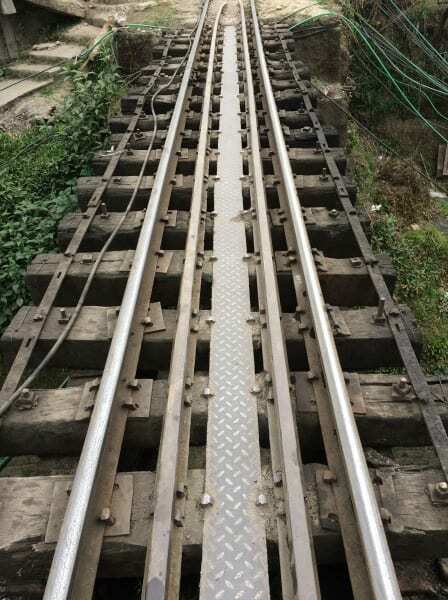 I’ve just been on the Darjeeling Indian Hill Railway. This was another bucket list day. We are in Darjeeling. 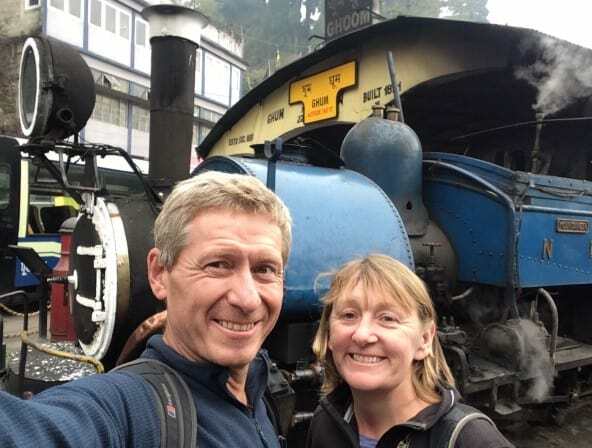 And we just rode the Darjeeling Himalyan Railway Toy Train. It was only a short 2 hour trip from Darjeeling. 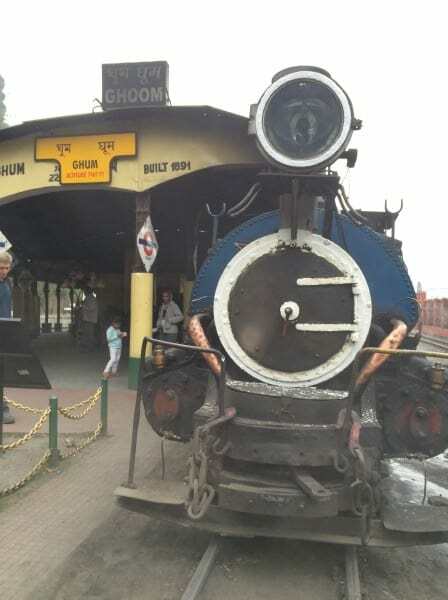 We went up to Ghum, the highest railway station in India and third highest in the world and back again. But it was still the Toy Train. 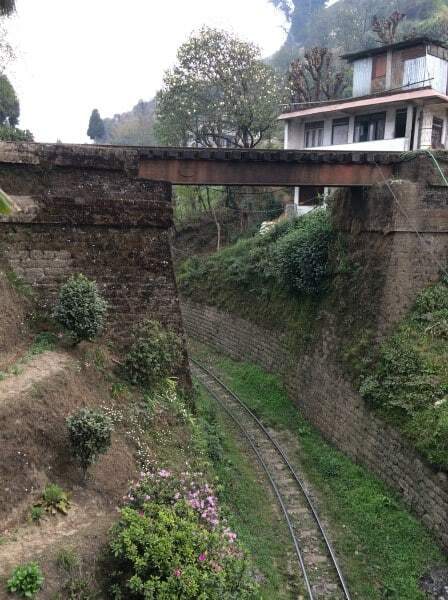 The first of the Indian Hill Railways to be built in 1881, the toy train used to run from Siliguri at 484 feet up to Ghum at 7487 feet, and then down to Darjeeling station. 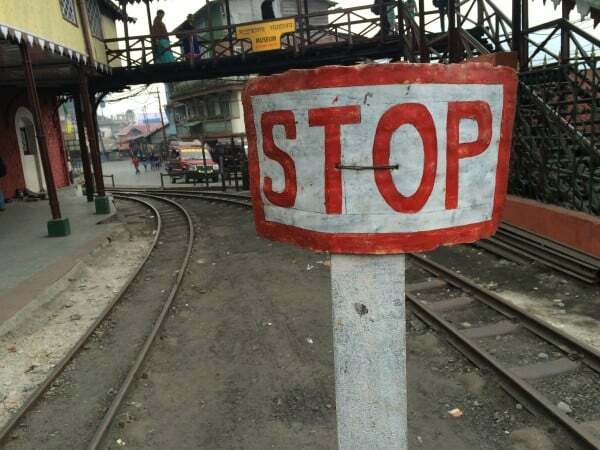 Darjeeling sits at 6812 feet and the end of the line, 48 miles or 78 kilometers later. 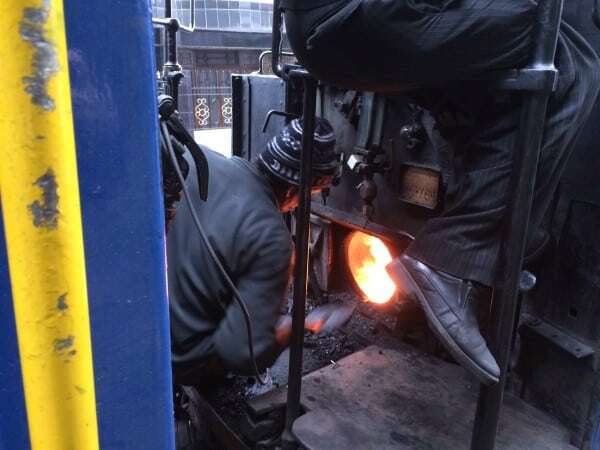 The train takes 7 painstaking hours to run the entire route (when its in operation). 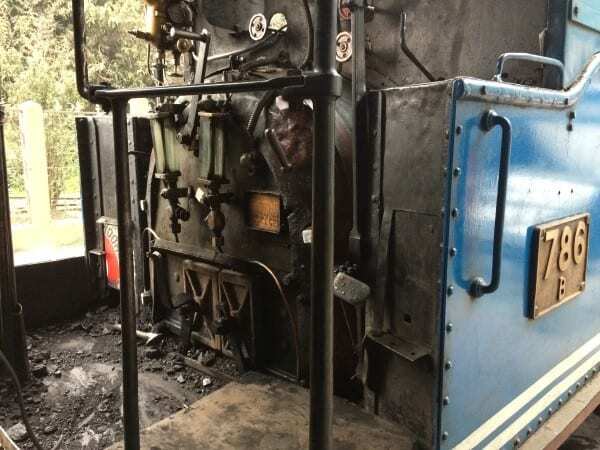 Along with the hill railways at Ooty, Matheran and Shimla the railway was declared a Unesco World Heritage site in 1999. Darjeeling was added in 1999, the others in later years. Since a landslide in 2010 most of the railway has been closed. Teasers appeared in the news earlier in 2015 that the line was about to be opened again. 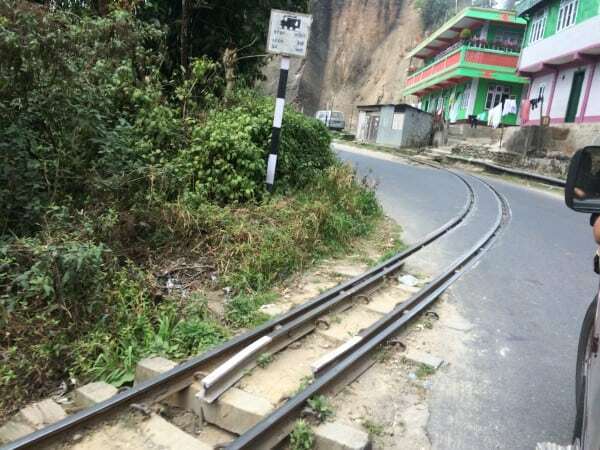 What’s currently open is the line from Kurseong to Darjeeling. A couple of diesel, two carriage trains run on this route each day. 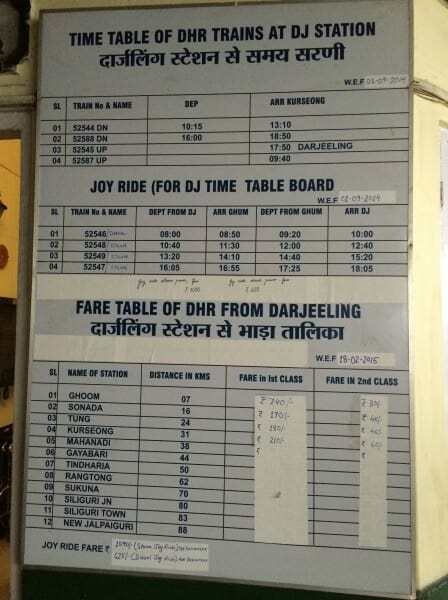 The DHR also run up to six “Joy Ride” trains a day that start at Darjeeling Railways Station. They run up to the Ghum Station, wait for 30 minutes and then return. 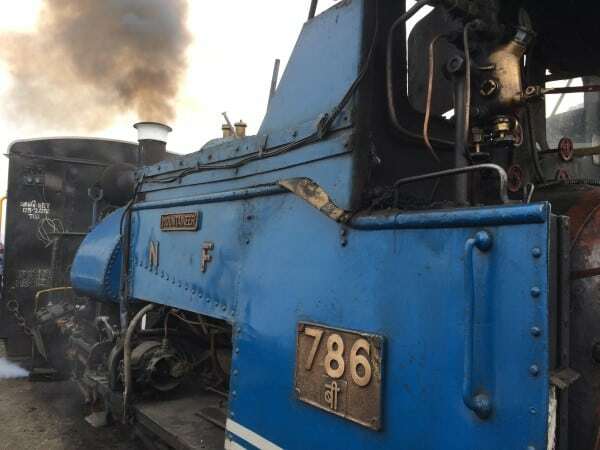 During March and April 2015 there are three diesel trains a day and three steam trains. 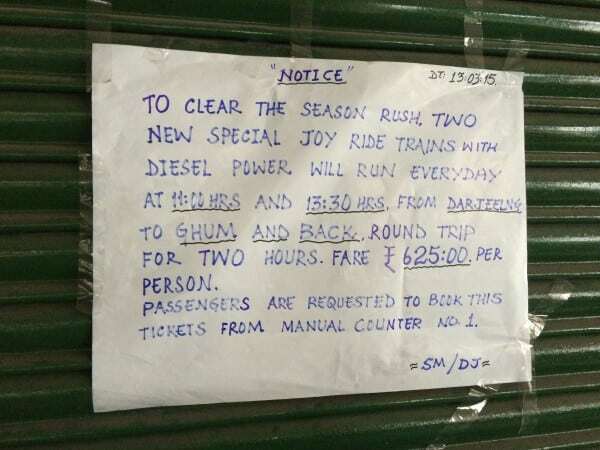 The diesel train will cost a whopping 625 rupees for a seat, the steam 1024 rupees. The price went up from 400 rupees on either train in February, but still, there are no spare seats. We, of course, opted for steam. Hence the soot. But there is nothing more magical than grinning wildly with black bits of soot sticking to your teeth. There’s nothing more special than getting wet from the steam as you hang your head out of the window on a corner. Listening to the whistle and huff and puff of the engine making it up the grade is a dream come true. All the steam engines currently in use are of a design built by Sharp, Stewart and Company. 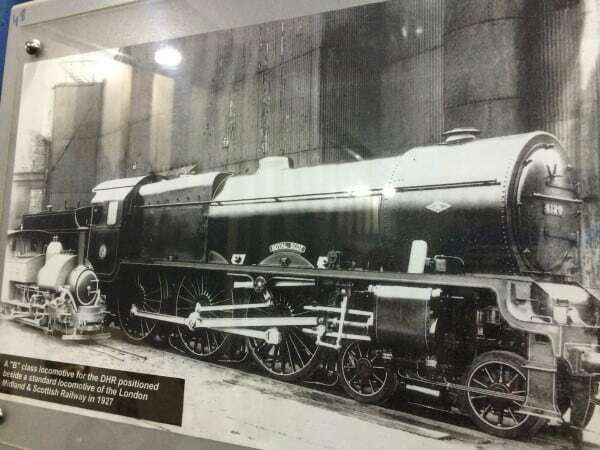 This was later the North British Locomotive Company between 1889 and 1925. Thirty four were built – by 2005 only 12 were left. Some have gone to other railways, and one even back to the UK where it runs on a private railway. 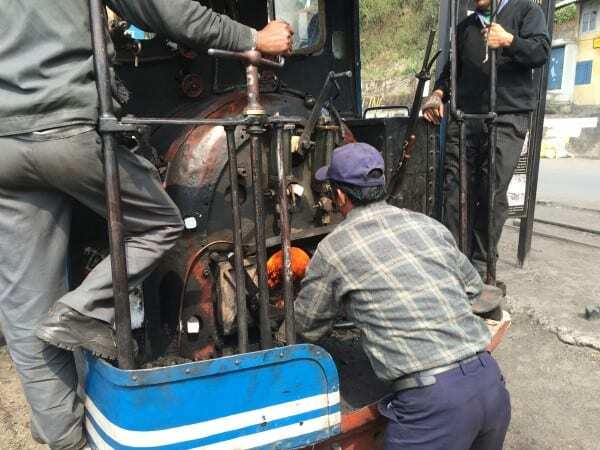 We leave Darjeeling about 15 minutes late, as they had to change the engine. Now we’re on the Mountaineer, engine number 769. It was built in Glasgow in 1904 and one of the door handles on a carriage was also broken, so we also picked up a different carriage. There are just two carriages as we attach to the engine and head out. The tiny 2 foot (610mm) gauge track runs along the road. Not along just the side of the road, but on the actual road. It wends its way across the road and it takes precedence over all the other road traffic. We stop after 10 minutes at the Western Water Stop, fill up with water and then we’re off again. Now to climb up to the Batasia Loop. 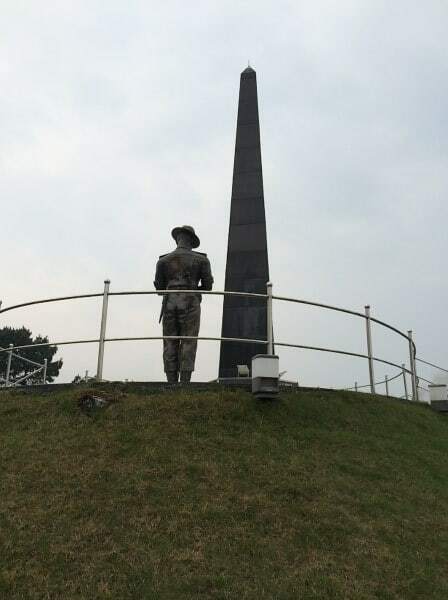 It’s here that you’ll find the Memorial to Gorkha soldiers who died from local villages, and we’ll use the loop on our return to descend more easily. 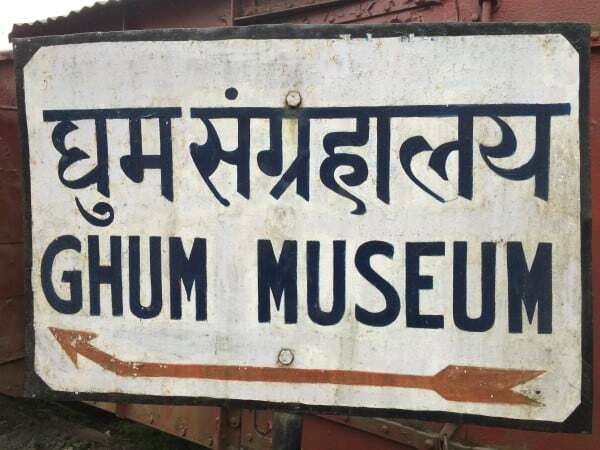 After a 10 minute stop we’re off again, climbing to Ghum (or Ghoom, even the railway can’t decide how to spell the name, so it goes with both). This is the end of the line for this train. We stop here for 30 minutes just enough time to watch the ashes being scooped out of the tray at the bottom of the engine. The train staff now move the engine to the other end of the train, so she can pull us home. There’s enough time also to visit the small DHR Museum. It’s very small a lot is taken up with the process of becoming a UNESCO world heritage site. 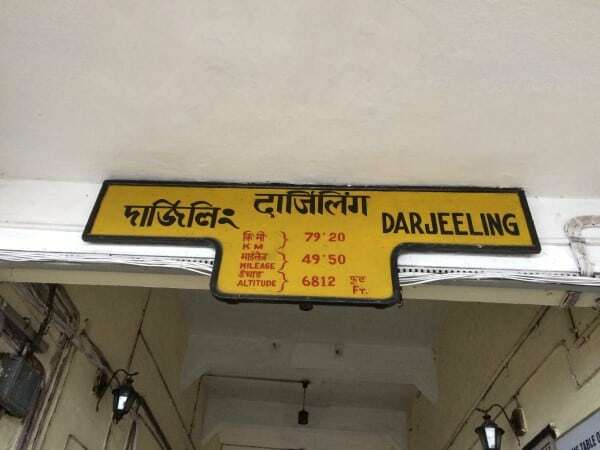 There are several walls of old photos – including a look at what Darjeeling station used to look like before they replaced it with the current monstrosity. And this fab shot of the toy train next to a “real” engine. And it’s time for home. We seem to have lost half the passengers, which isn’t a bad thing. This carriage was designed for a different era of thinner hips and poorer (or do I mean better) diets. There’s more room to breathe on the way back. 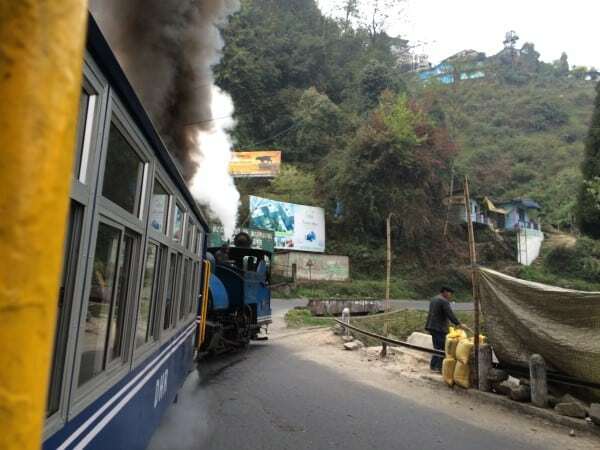 We stop briefly for water again and steam into Darjeeling. I’m still grinning black soot spotted teeth and most definitely freezing. As bucket list items go, it was easy to organize (online booking via Cleartrip). There wasn’t the adrenalin rush of the plank walk in Huashan, but it’s memory will make me grin for a good long time.